Tuart Health Research Group – the best source of current research into tuart decline. A joint venture between Murdoch University, the Dept of Environment and Conservation and others. Now known as Centre of Excellence for Climate Change Forest and Woodland Decline. Naturebase – Tuart Conservation Overview – an excellent explanation of tuart conservation issues by the Department of Environment and Conservation. Naturebase – Tuart Atlas – a project of DEC (now Department of Parks and Wildlife) detailing the extent of tuart decline, with much additional information. 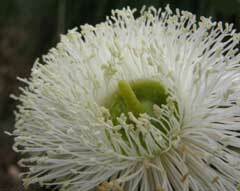 Wildflower Society of WA – information on cultivation and conservation of native plants. Friends of Star Swamp Bushland – a reserve north of Trigg Bushland that is linked by public open space. Friends of Lake Gwelup – a reserve close to Trigg Bushland with similar flora and fauna. Friends of Warwick Bushland – a reserve close to Trigg Bushland. Friends of Trigg Beach – North Trigg Beach Reserve and South Trigg Beach Reserve, both part of the parabolic ‘sea to tree’ dune system of Bush Forever Site 308. Tuart flowering cycle – a pictorial representation from a nursery website showing the effect of bud weevil on tuart blossoms. Environmental Weeds Action Network – all about identifying and controlling weeds! You can even download a detailed manual on weed mapping and control protocols – free. An excellent resource. Bush Forever – all of the surveys, maps and other detailed scientific information about Trigg Bushland, Bush Forever Site 308, on the Perth Biodiversity Project website. 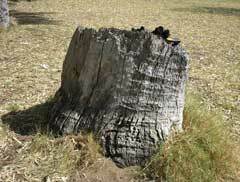 Native Tree Decline – what it is, how it is caused and what you can do to prevent it, from a community group perspective by the Wandi Landcare Group in Kwinana. Australian Heritage Database – information on Trigg Bushland, including detailed description, condition and statement of signficance from the Australian Government Dept of Environment. Detailed scientific information on Tuarts from the Tuart Health Research Group and others, now in the Murdoch University Research Repository. Detailed scientific information on Tuarts from the Centre of Excellence for Climate Change Woodland and Forest Health (lots of other information throughout this website). Information on Tuarts from Naturebase. Information on Tuarts from Florabase. Our submission to the proposal for listing of Tuart woodlands and forests as a nationally threatened ecological community under the Environment Protection and Biodiversity Conservation Act 1999. Details here.